Hummm, what to do with leftover chicken? 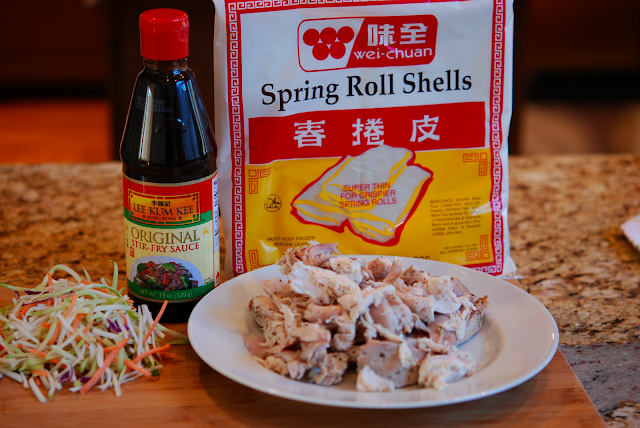 How about Spring Rolls? I think this is the ticket for my leftovers. Hope you like them. They were really easy to make and is fun to enlist the whole family in making them. They are baked and not fried so much healthier for you and me! Have fun. 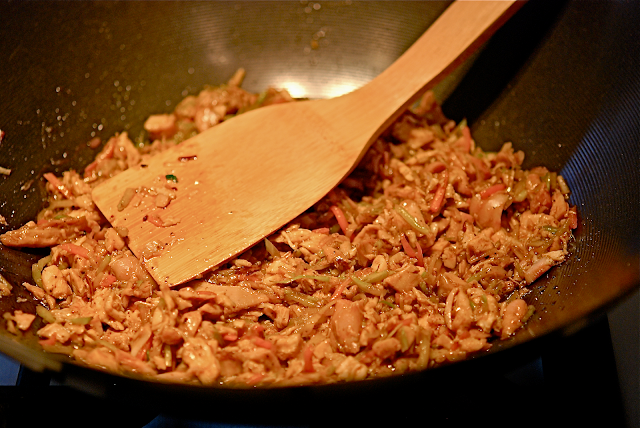 Heat oil in a wok or deep skillet until very hot. Add coleslaw mix, meat and stir fry sauce and stir for 2 to 3 minutes until hot and incorporated. Take off heat and set aside. When meat is cool begin to roll your rolls. 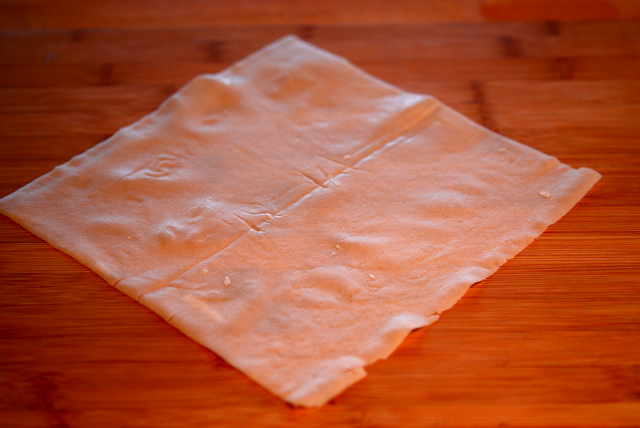 Place a wrapper on the counter, with a corner pointing at you. 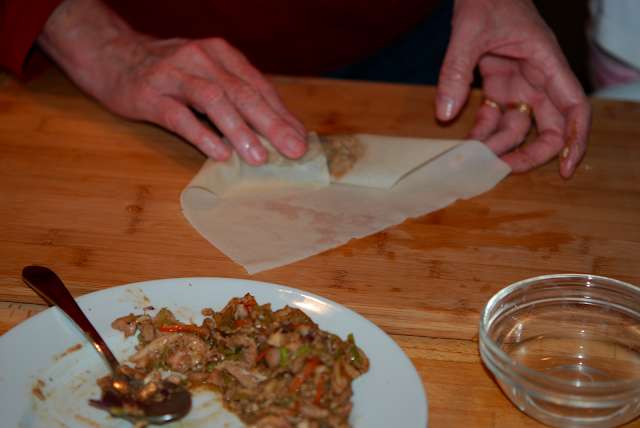 Put approximately 2 tablespoons of the filling in the center of the wrapper. Fold the nearest corner of the wrapper up covering the filling. and finish by rolling away from you. Moisten the very end with a dab of water to help it stick. Brush oil onto a cooking sheet and the tops of the spring rolls very lightly with oil, sprinkle with sesame seeds and bake @ 350 degrees for about 20 minutes or until lightly brown. When meat is cool begin to roll your rolls. Place a wrapper on the counter, with a corner pointing at you. 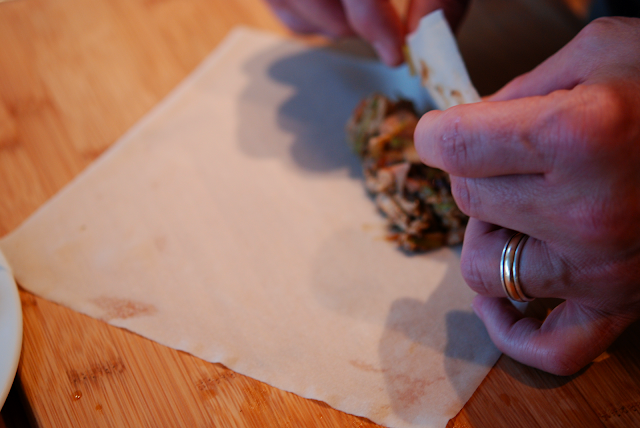 Put approximately 2 tablespoons of the filling in the center of the wrapper. 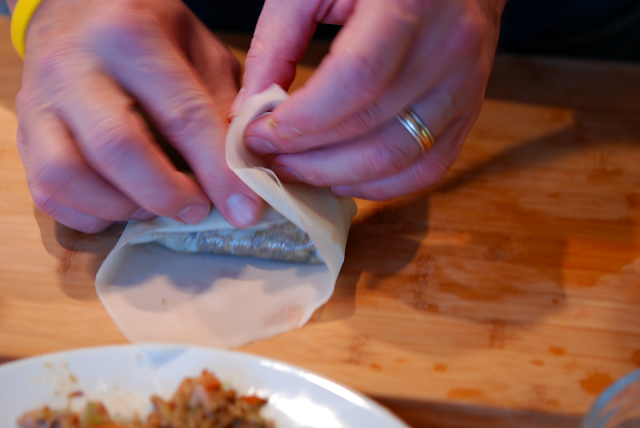 Fold the nearest corner of the wrapper up covering the filling. 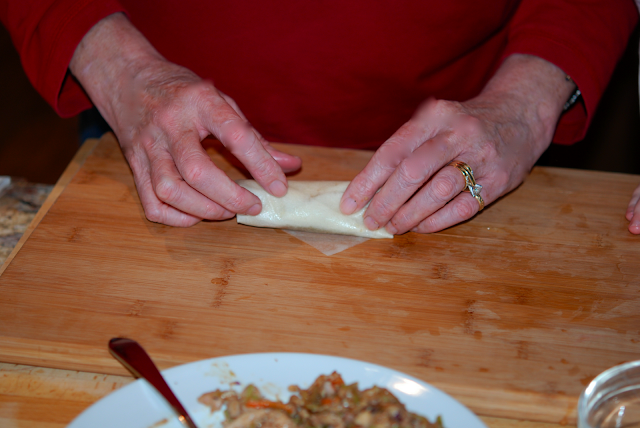 Fold in the two sides and finish by rolling away from you and moisten the very end with a dab of water to help it stick. 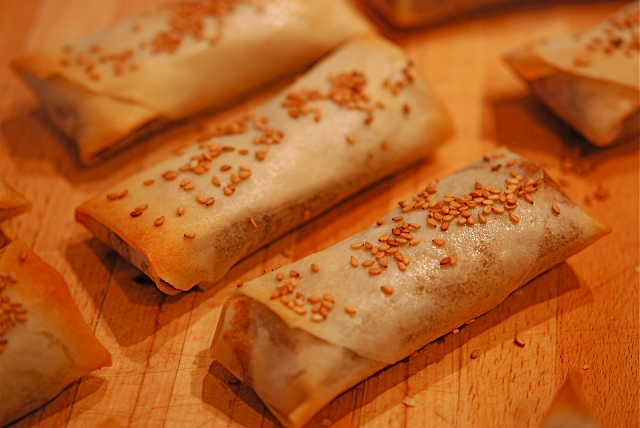 Brush oil onto a cooking sheet and the tops of the spring rolls very lightly, sprinkle with sesame seeds and bake @ 350 degrees for about 20 minutes or until lightly brown. Cooking them tonight!! Can't wait until they to eat them!! They smell and look so good! !